As part of the Arbor Day Celebration, the City provides tree planting workshops performed by local experts followed by a free tree give-away (limit-one per family). Arbor Day, a national observance that since 1872, continues to encourage tree planting and care. Certified Florida master gardeners will host the tree planting workshops and demonstrate how to choose, plant and maintain a young tree. After the workshop, they will be available to answer any gardening, yard, plant or tree questions you might have. 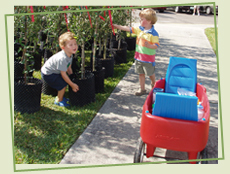 Arbor Day is sponsored by the City of Casselberry and Casselberry Friends of the Park For more information, call (407) 262-7700, Ext. 1229.